Cars Stop for Bikes, originally uploaded by [Zakkaliciousness]. 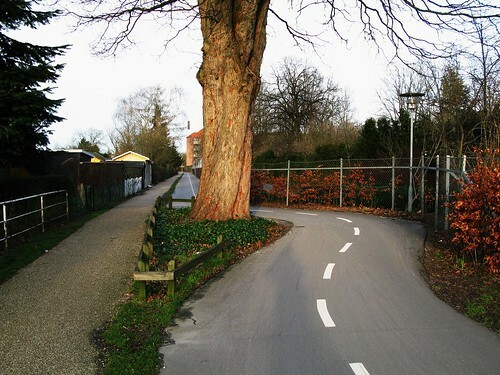 A bike path carves through the landscape and cars at a crossroads are the ones who have to give way and stop. 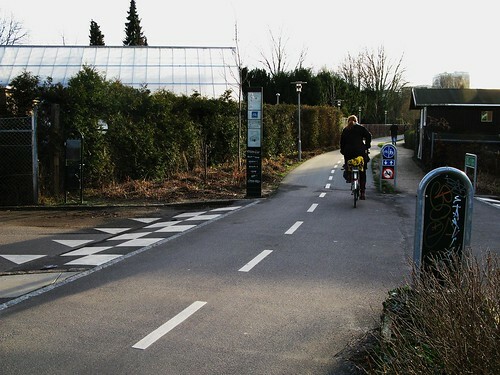 Part of the new Green Path - Grønne sti - in Copenhagen that provides cyclists with a long shortcut through Copenhagen. A kind of ring route that serves to help cyclists avoid riding into the center of town if they don't need to. Built largely on terrain once used by railways, the Green Path is a fantastic initiative. And no trees were harmed in the creation of the pathway.